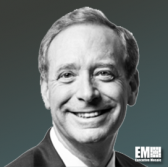 Brad Smith, president of Microsoft, has said the company plans to expand its Airband Initiative to give broadband access to 1M more rural residents from across the U.S. by July 2022. He wrote in a blog post published Monday that the company originally planned to bring internet to 2M people but early progress following the launch in 2017 allowed the initiative to increase its target to 3M residents. The expansion will cover rural communities in 25 states, where the company will build Airband infrastructure, provide skills training and promote public policies to accelerate investment in TV white space technologies. “Without a proper broadband connection, these communities can’t start or run a modern business, access telemedicine, take an online class, digitally transform their farm or research a school project online,” Smith said. The Federal Communications Commission reported that to date broadband remains unavailable to more than 19M Americans in rural areas. Smith then called on the federal government to rethink budget allocations to close the gap. The FCC and the Department of Agriculture has provided more than $22B over the past five years to sustain, extend and improve broadband in rural America. However, Smith noted the figure remained the same since 2013 despite the growing demand across the country. “If the federal government re-allocates just a small additional fraction of public money toward incentives for TV white spaces devices, it will help accelerate adoption, bring costs of devices down and help the ecosystem lift off,” the Microsoft executive said.